A Round Nosed Penetrator is a bullet with a thick jacket and a very hard lead core. 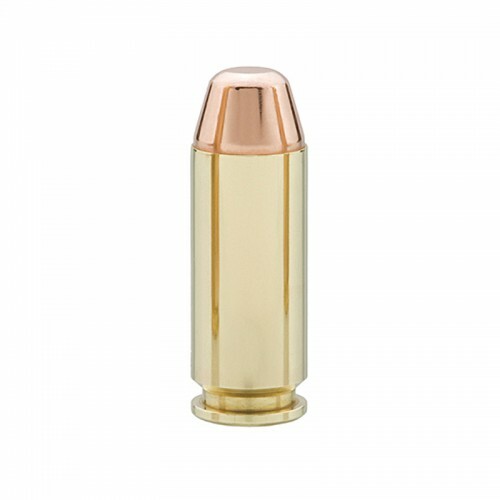 This non-expanding bullet is used in handguns for deep penetration on large and heavy dangerous game. This non-expanding bullet will retain 100% of its weight. 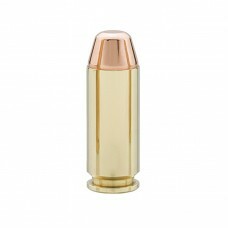 Caliber: 10mm Auto Bullet Wt. : 200gr CORBON Hunter RNPN Velocity: 1125fps Energy: 562ftlbs Test Barrel Length: 4.6 Inches 20 rounds per box. American Made. American Owned.